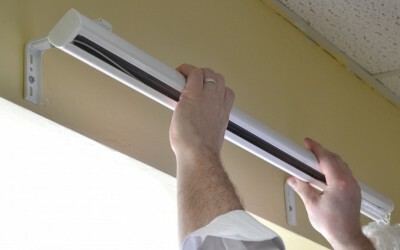 Retrofit your existing vertical blinds (3 ½” vanes only) or customize a complete system. 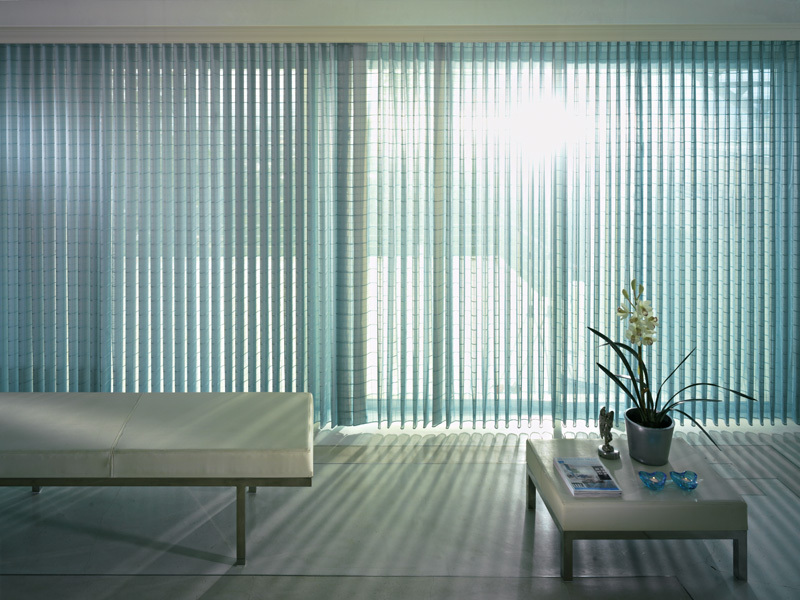 Beautiful sheer fabric is combined with vertical blinds for stylish, tight-stacking, privacy and light control. 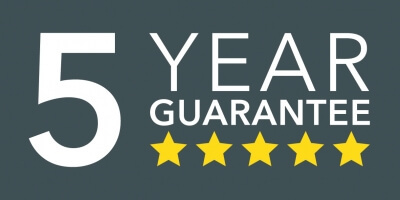 All vertical wrap recommended fabrics come with a 5-year guarantee not to shrink, stretch or fade, and all complete systems come with a limited lifetime warranty. 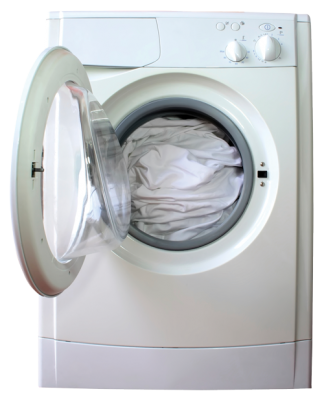 All vertical wrap recommended fabrics are machine washable for simple, lasting beauty. 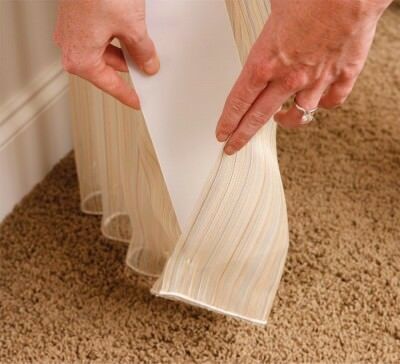 flair21’s exclusive weighted bottom hem is featured on all vertical wraps for an ideal hang. Choose from over 95 exclusive fabric designs in hundreds of colors and finish things off with a variety of mounting, control and valance options for a one-of-a-kind window treatment. For an inside or outside mount window or door treatment. 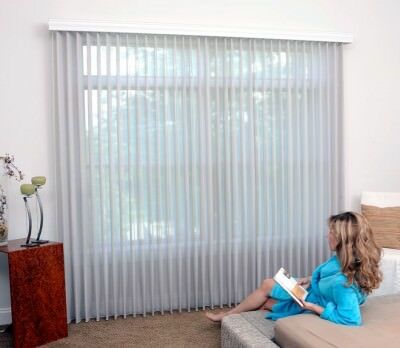 If you already have vertical blinds, you can turn that stock eyesore into a beautiful custom window treatment! The recipe is easy—just add flair21 fabric. 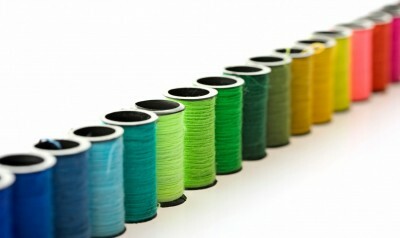 Check out our Fabrics page to view all of the fabric designs recommended for Vertical Wraps. 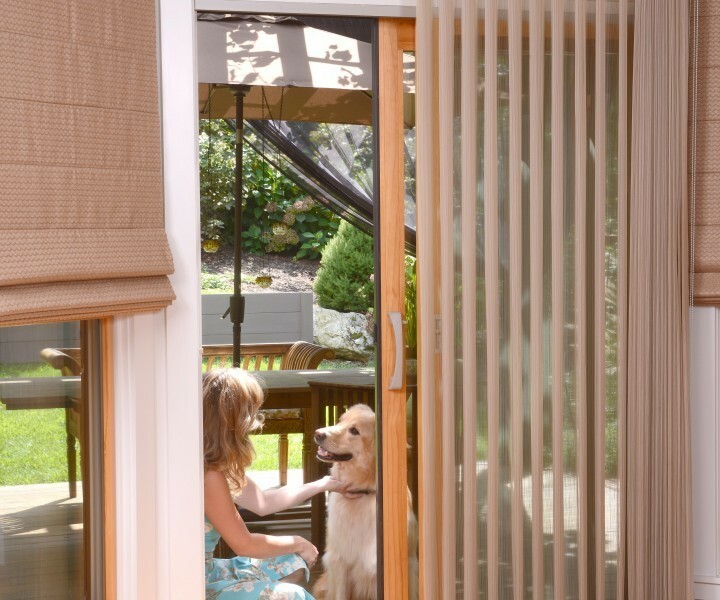 If you don’t already have a vertical blind window treatment, flair21 offers a complete vertical blind system. Heavy-duty vertical blind track with a brushed aluminum finish – 1″ tall X 1.5″ deep X up to 240″ wide. 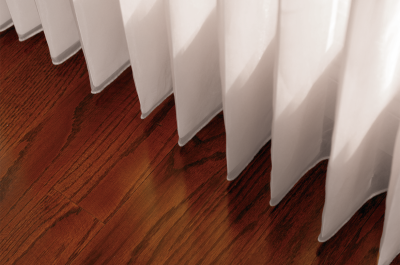 The system is completed using 3.5″ flat, rounded-corner vanes (up to 192″ long in white, ivory or alabaster) and the flair21 fabric of your choice. The fabric has snap tape sewn across the top and a tack at the bottom to secure each vane. Our signature Eurohem will hang just below the bottom of each vane for a clean, refined look. Each system comes with your choice of valance: shirred fabric sleeve (matching your wrap) or faux wood valance (with 11 color options). Choose a child-safe cord or (24″, 36″, 48″ or 60″ white) baton operation in a one-way or split draw. The baton-controlled system is only available on one-way systems. The carriers provide the vanes with 185° rotation capability for full vane closure. One full cycle of the chain will self align the vanes. The self-lubricating plastic carriers have a geared clutch system for overload protection, a unique stabilizer bar and stainless steel spacer links for smooth traversing. The clear, UV-resistant carrier hooks (that hold each vane) are replaceable even while the headrail is installed. The unique end caps minimize light gap (only 0.25″), and in combination with the narrow carriers, allows for very tight stacking. A 122″ one-way draw track stacks to just 15″ of space.